We've recently updated several pages on our website to help provide our customers with insightful and engaging information! At Panorama Antennas we are extremely proud of our history as a family business, and also how our products are being over the world! We wanted to share this with you, our customers, and make discovering this information in a fascinating and fun! Therefore we have decided to update our website to give customers access to this information in interactive and dynamic ways, so they can learn more about Panorama and how we are a world leaders in the design and manufacture of antennas! Explore how Panorama's products are used across the globe! With our new interactive map feature provided by MapHub you can explore the world of Panorama Antennas and read Case Studies detailing how our products are used globally! Read how Panorama's antennas have been utilised by a wide range of companies in various sectors. 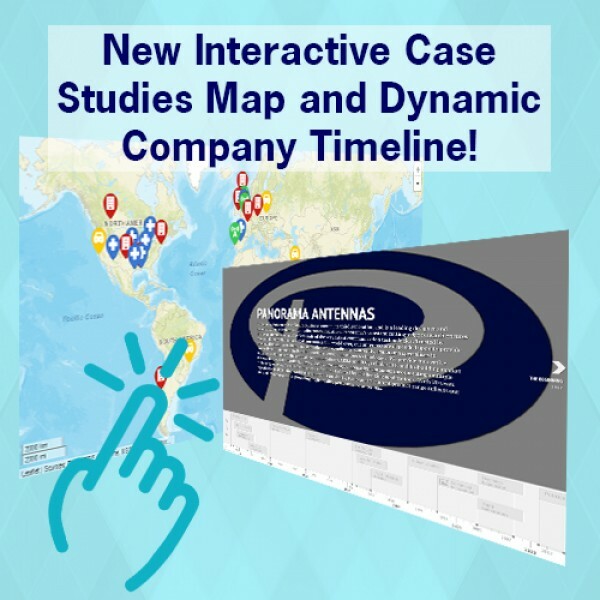 From tracking tornadoes in "Tornado Alley", to flying round on the back of many Police Service vehicles and many applications in between, Panorama's Antennas are used in many amazing ways for you to explore in our new Case Studies Interactive Map! 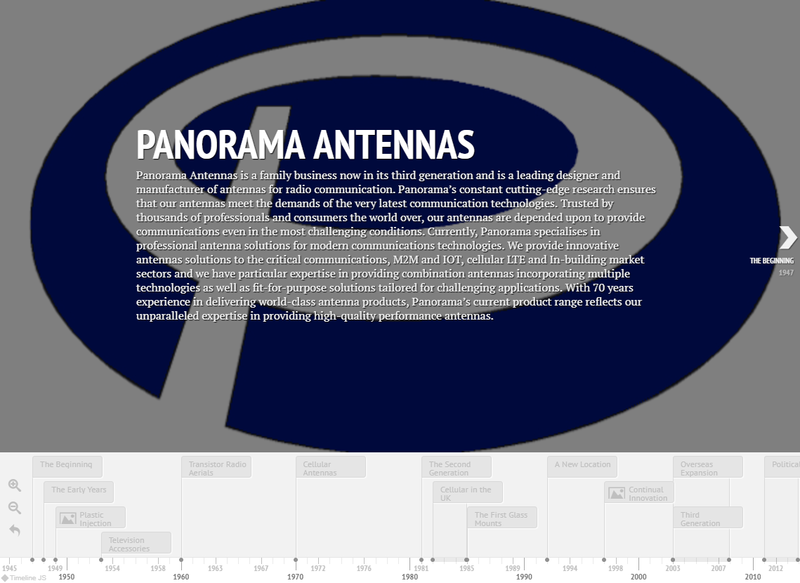 Discover the amazing history of Panorama Antennas! Over our 70 years Panorama Antennas has been through a lot of change including three generations of the founding family! Read about the amazing history of Panorama Antennas, from its founding by ex-serviceman Leon Jesman who found himself displaced after WWII with only £50, to its current successes and recent visits by some of the most well known politicians of the day! Scroll through our fascinating history through our new dynamic timeline and discover our companies amazing past!